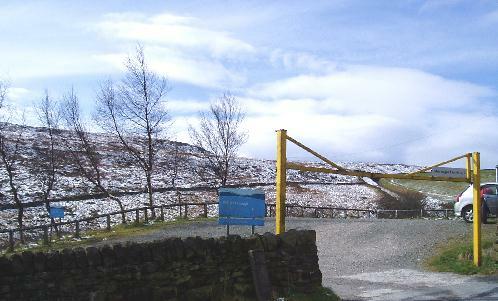 This circular high level walk gives you easy access to upland moorland with excellent bird life. 2 miles, taking about 1½ hours. All on reservoir tracks – some gravel and some on a good path. After rain, some sections can be muddy and you may have to navigate around some puddles. None on the walk, but two pubs are passed on the way to the start. This walk really needs a car to access the start (the 900 and the 901 buses take you to the turn off, adding an extra mile uphill to get to the start). You need to take the B6138 up Cragg Vale from Mytholmroyd. After about 2½ miles the road has a sharp left turn and immediately after this bend you will see a right fork signposted to the Hinchcliffe Arms and St John in the Wilderness church. 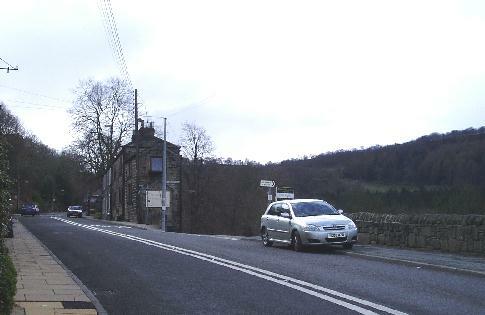 Take this minor road which goes past the church and the Hinchcliffe Arms, both on your right. Ignore the left turn and carry on up the hill. After about a mile the road is blocked by a gate, but there is a small car park on the left, park in here. Come out of the car park, http://pharmacy-no-rx.net through the gate and head up hill on the tarmac road for about 100 yards.When you reach the top, you have a choice of which way round you want to do the walk. The instructions here are for the anti-clockwise route, but it’s not difficult to work out how to do it the other way round. Pass the big farmhouse on your right and keep straight on the un-made track with the reservoir wall of your left. Look for a small stone triangle on the horizon on your right – this is the tip of Stoodley Pike, a famous local monument. There are several paths going off to the right which will take you up there, but gentle they are not! 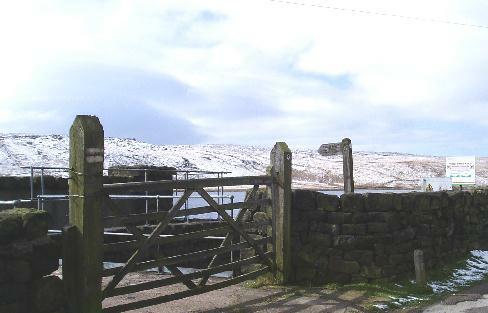 As you reach the end of the reservoir keep to the wall and go over the stile or through the gate (signposted Yorkshire Water permitted path). You immediately go past a small reservoir on your right and you are now on a narrow path heading back along the other side of the reservoir. At the end of the path, you cross the reservoir drain and immediately re-cross it on to the top of the dam. Straight ahead you will get another view of Stoodley Pike. At the end of the dam go though the gate and back down to the tarmac road to the car park. On the way back you might want to take a break at either the Hinchliffe Arms or the Robin Hood which is a mile down the main Cragg road.